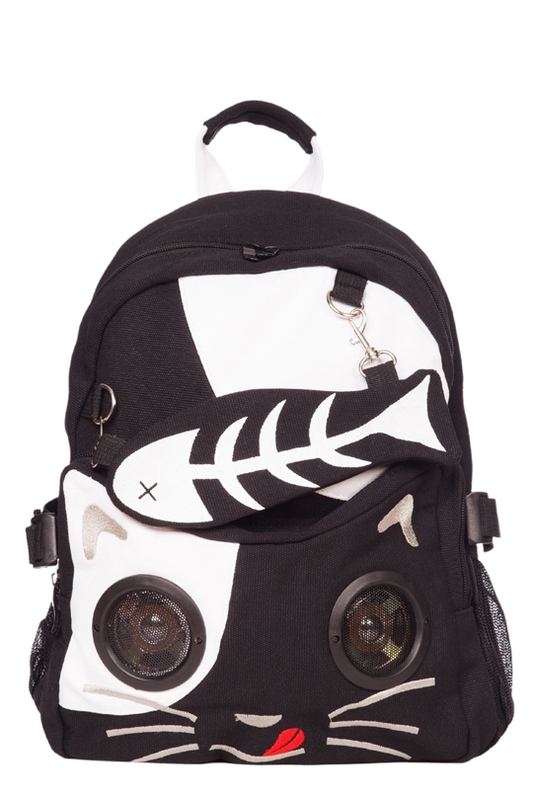 Don't let the cat out of the bag with the Felix the Cat Stereo Bag. This creepy kitty is sure to get the last scratch. Featuring 'Felix' the creepy monotone cat, and a detachable skeleton fish pencil case.